Even now, after having time to think on this debut issue, I’m not 100% sure how I feel about this new comic from Aftershock. On the one hand, it checks a lot boxes in what I like in comics - a central mystery, fantasy setting - but on the other hand, it also feels like a story I’ve already read before. Parrott starts the comic with an unknown narrator (or is it the frog guard on the page, not yet sure) explaining how his family has, for generations, guarded a single lamppost, where, it is not mentioned. What the purpose of this opening is, I’m still not sure, but it does come back on the final page with what I imagine is supposed to be an ominous foreshadowing. From there though, it jumps to a girl and her mom in the “real world” (Earth obviously) doing some homework together. The girl, we learn, is named Bonnie, is homeschooled and seems to be somewhat of an outcast and or very sheltered. After a few scenes establishing this fact (she asks a librarian to be her plus one to a museum outing), she comes across man with a magical coat who turns out to be the king of the fairies, named Oberon. And this is the point where I think Parrott lost me a little. The whole reveal and the aftermath felt a little too familiar, especially since a lot of the choices that Bonnie takes from that point forward seem a little too convenient for the plot of the story and dare I say it, way too obvious. The whole “human in a strange land” has been done before and trying to establish a new hook to this trope is a difficult barrier to breach, and unfortunately I don’t think Parrott has achieved it just yet with this debut issue. It is not helped by the fact that the art is good at best and doesn’t bring any new, fun designs to the fantasy creatures. Oberon especially has a pretty simplistic and safe design to him. On the other hand, the human characters are interestingly designed (at the least Bonnie and her sister are), so there’s a least that. I’ve always been a proponent that you have to give a new property a chance to succeed and to wow you. 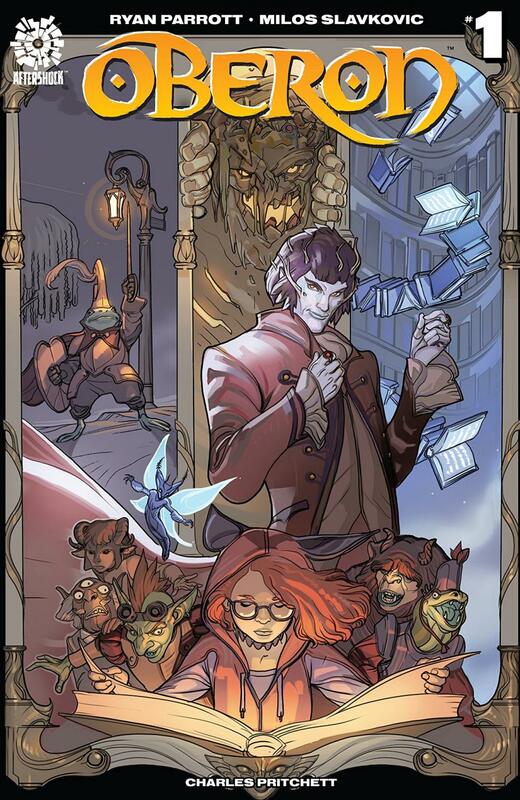 Not every comic will do that with the first issue and Oberon has at least piqued my interest in the second issue and we’ll see if the second issue will bring me back for more.